Tiecom has over 25 years’ experience in voice and data networks. 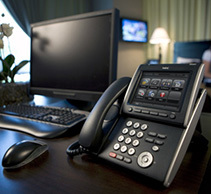 We use that expertise to audit companies’ telephone and data network systems. Businesses are constantly looking to optimise their infrastructure, reduce power consumption, increase business efficiency and productivity. Our audit will establish how we can optimise your voice and data network system. We will provide you with recommendations to improve your current infrastructure. Based on the audit results we can design and install a telephone and data network solution that maximises efficiency and improves your overall operations.